It’s that time of year again! The leaves are changing color, the air is getting a little cooler and pumpkin spice is back in the spotlight. While you’re picking apples and searching for that perfect pumpkin to carve, be sure to make your way to the Grand Haven Area to taste all the flavors of Fall. 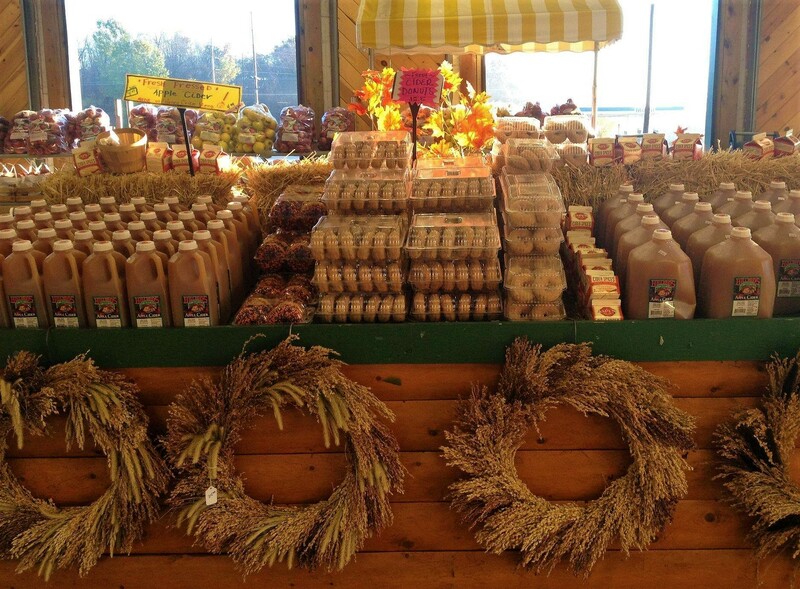 Green Acres Farm Market is a staple when it comes to all your Fall festivity needs. Pick out a pumpkin to carve, grab some squash for dinner and choose from a variety of apples for snacking and baking. You absolutely don’t want to miss out on the caramel apples, cinnamon sugar donuts and fresh pressed apple cider. What’s better than drinking local? Vandermill offers a variety of flavors and hard ciders that are sure to wow your taste buds. Take a production tour to see how these specialty ciders are made, or stop in for brunch! Warm up with a cup of tea, coffee or hot cocoa at Aldea Coffee while you’re shopping in downtown Grand Haven. 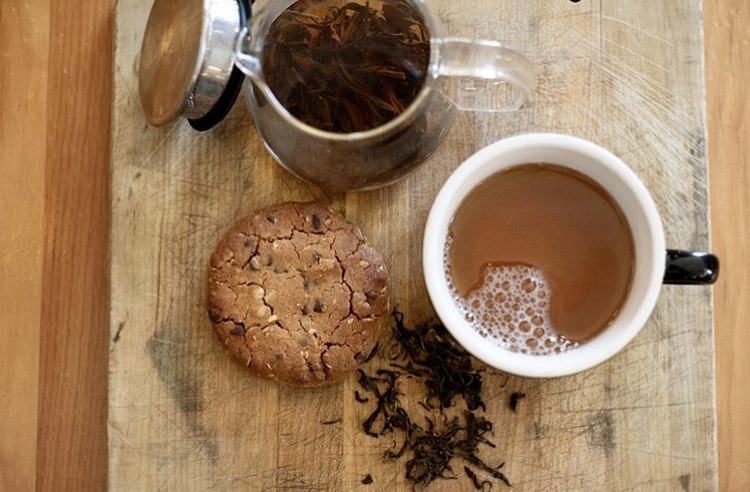 Try the Ruby Oolong and Ginger Root teas or get an extra fix of caffeine with a Cafe Miel. No matter your taste, this is the place to be when those temperatures start to drop. 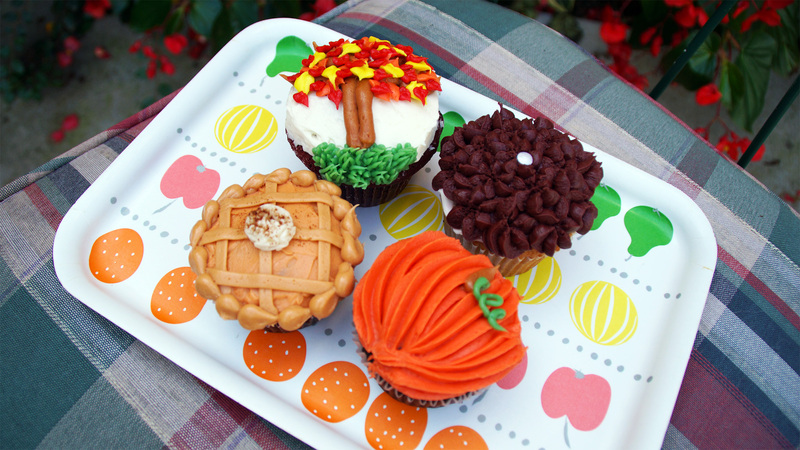 It doesn’t get much cuter than these fall themed cupcakes at Village Baker in Spring Lake. Village Baker is a restaurant, bakery and bar all in one. With menus serving breakfast, lunch and dinner, there’s never a bad time to stop in. The bakery offers freshly baked goods, like these cupcakes, every single day! These cupcakes sell for $2.25. each. There’s no better way to welcome the Fall season than divulging in comfort food. 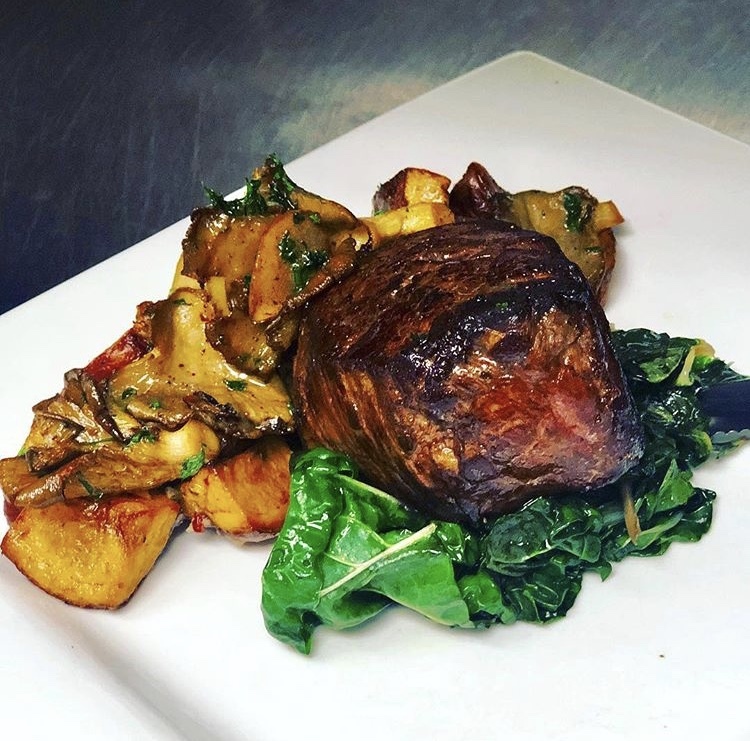 Meat, potatoes and roasted veggies are on the menu at The Copper Post. With a rotating seasonal menu in addition to their classics, you’re sure to taste every flavor of the season here. The October menu features Grilled Salmon, Bone-In Ribeye, Beets Three Ways and Homemade Cheesecake. Everything on the plate is locally sourced, so you’re sure to taste Michigan in every bite. 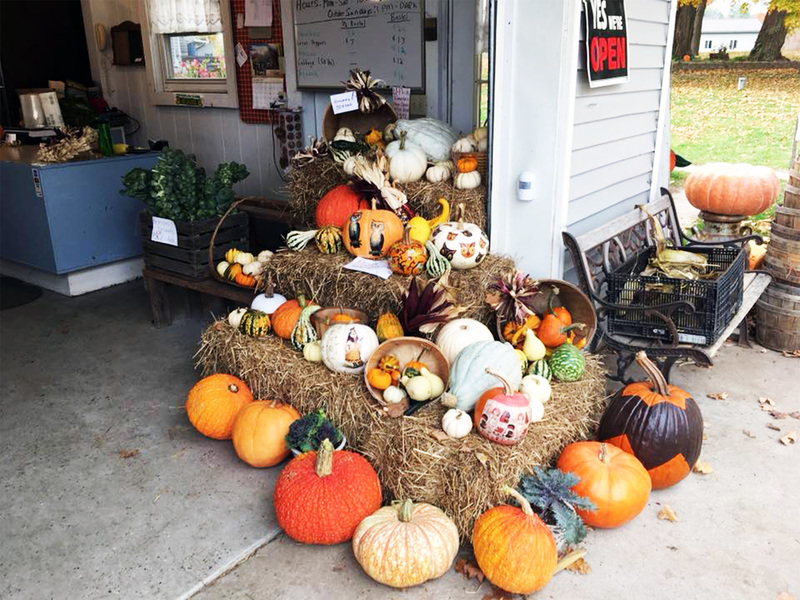 The Mellema Farm Market is a hidden gem located in Nunica. Here, you’re sure to find exactly what you’re looking for to make the perfect stews, soups and roasts. This market is home to pumpkins, squash and many more fall vegetables that are guaranteed to make all of your dinners perfect this Fall. Pick out your own pumpkin and don’t forget to take a ride on the wagon! Wagon rides are offered Saturdays from 10 a.m. to 2 p.m. If you want to try your hand at making your own Fall treats at home, Cooks Kitchen & Pantry has everything you need to make your vision a reality. 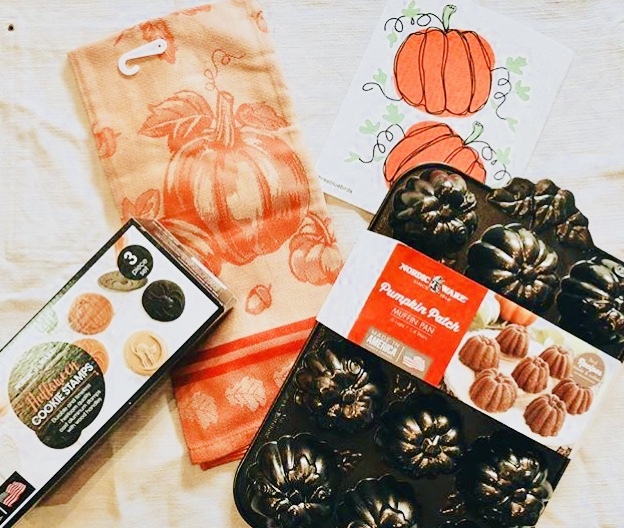 From pumpkin shaped cookie cutters to mini bunt pans, there’s no limit to creativity. There are also plenty of Fall themed pots, pans, serving dishes and tableware that will make entertaining guests a breeze this season. 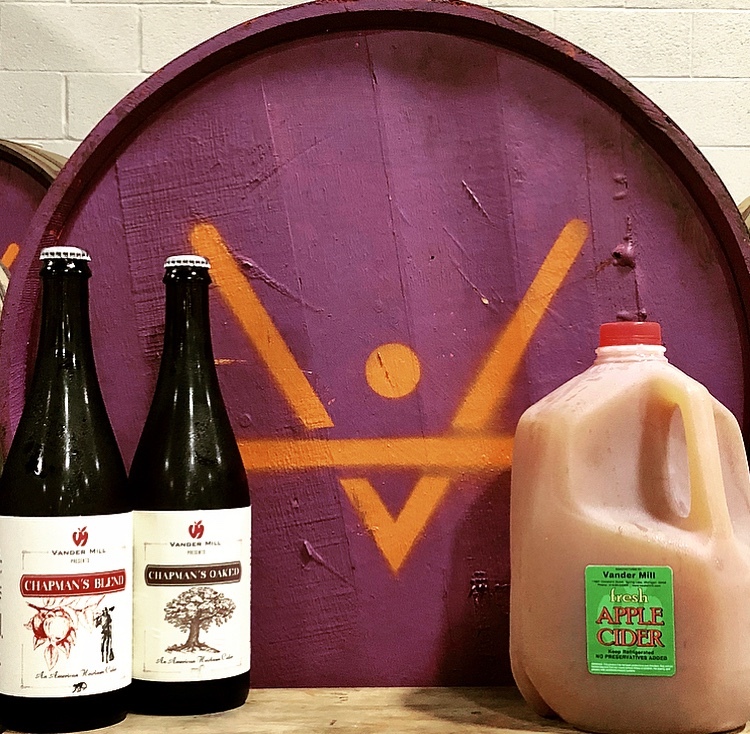 Photo Courtesy of Farmhaus Cider Co.
Another local favorite for freshly pressed hard cider is Farmhaus Cider Co. 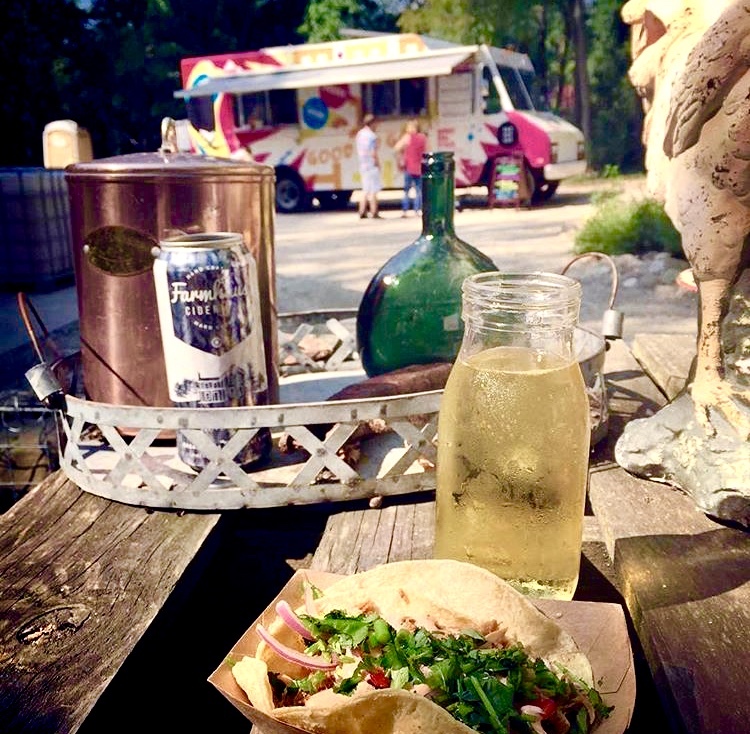 Check out this local tasting room nestled in the woods while grabbing lunch from food trucks parked on site! Visit their website for a full list of scheduled food trucks so you don’t miss out on a chance to try these local goods. Specialty chocolates, cookies and macaroons from Patricia’s Chocolate will pack a punch of Fall flavor. These handmade sweets come in all shapes, sizes and textures. 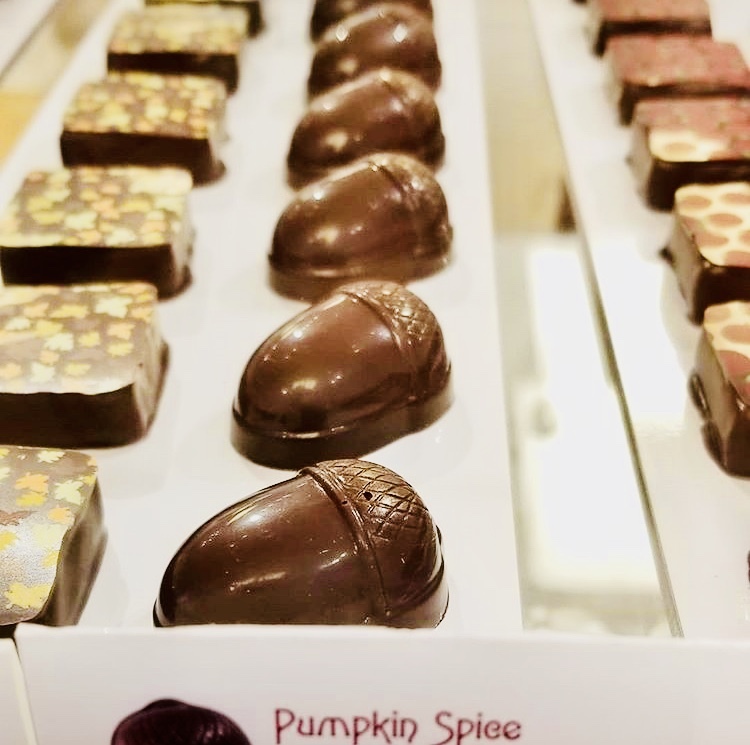 Ganache, caramel, wine chocolate and biscuits that all feature famous flavors like pumpkin spice, allspice balsamic, lemon basil and blueberry make the perfect gift for someone special, or a treat for yourself.